This is Alaine Spiwak. 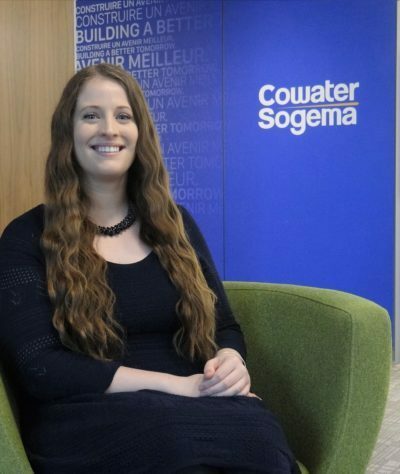 She is a Junior Project Officer at CowaterSogema and has been awarded the Carleton University Graduate Co-op Student of the Year 2018. The award is granted to a co-op student whose performance has exceeded expectations and had a positive impact on their work environment. From Hamilton, Ontario, Alaine is completing her master’s in project management and humanitarian assistance at the Norman Paterson Schools of International Affairs at Carleton University. As part of her curriculum, she completed a co-op program in the Summer and Fall 2018 semesters as a Junior Project Officer with our Public Financial Management and Accountability (PFMA) Team. Alaine won’t be starting her new role immediately though; to celebrate her new job offer and the end of her master’s, she is travelling for three weeks on a much-deserved holiday to Thailand, Cambodia and Hong Kong! Interested to become part of the CowaterSogema team? Discover our current opportunities here.